Nithiin 's new film has been titled Powerpet and it'll show the Young Star actor in a new avatar. The film will be helmed by lyric writer turned director Krishna Chaitanya. It is worth mentioning that Krishna Chaitanya has directed Nithiin's Chal Mohan Ranga which was a flop at the Box-Office. 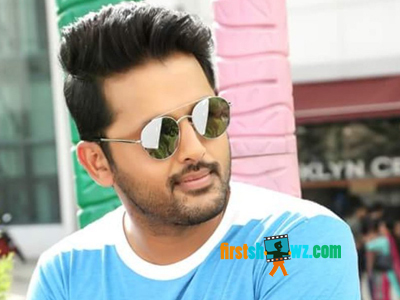 However, Nithiin seems to be impressed with the director's new script that he has given another chance to the actor. For those unknown, Powerpet is a railway station in Eluru town and is the name of an area. And since director Krishna Chaitanya coming from the same town, he seems to have named after it. The film is touted to be made on Vintage backdrop, and it'll pack some interesting characterizations. On the other hand, Nithiin is also filming for Bheeshma movie in Venky Kudumula direction, being made on Sitara Entertainments Banner. This movie is scheduled for a release by the end of 2019. Rashmika Mandanna is the heroine.